The Post-Baccalaurate Teacher Licensure continuing education program in North Carolina is designed for people who currently hold a bachelor’s degree. In recognition of the growing number of individuals who are interested in changing professions to become teachers, Guilford offers a program that allows adult students to complete requirements for licensure. It's designed for people who currently hold a bachelor’s degree in a field other than Education Studies. This program can be done by attending during the day or students can complete coursework and fieldwork, except for final internships and student teaching, during evenings over five academic terms (for example, fall/spring/summer/fall/spring). Individuals who hold a bachelor’s degree from a four-year, regionally accredited college or university may complete teaching licenses in each of the five licensure tracks. Licensure-only students typically complete just the courses listed for an education student’s major; however, additional coursework may be required. For licensure only in secondary or K-12 licensure areas, if the first degree is not in English, history, Spanish or French, the additional coursework may be extensive. Financial aid is available to students in the teacher licensure program in the form of federal student loans. The first step is to complete the Free Application for Federal Student Aid (FAFSA). 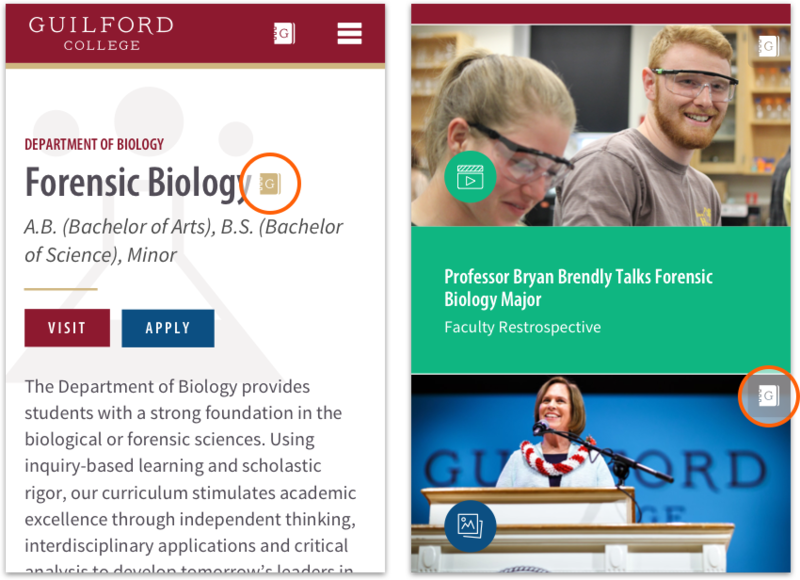 Post-Baccalaureate Licensure Only requirements and course descriptions are available in the online version of the Guilford College Catalog. Use the keyboard shortcuts Control F for PC or Command F for Mac to search the document for Education Studies. The endorsement can be added to the initial license at the time of application for the initial license. 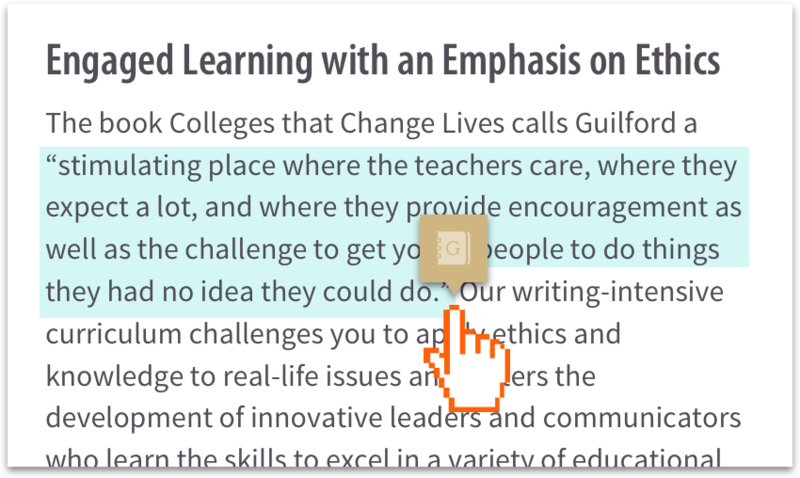 An endorsement makes the initially licensed candidate eligible to teach in the content area for which they earned 24 hours with a C or above. Endorsements are for teaching at all grade levels, K-12, in the specific endorsement area. For example, if an individual was obtaining an elementary K-6 highly effective licensure and had completed 24 credit hours in history with the grade of C or above, they would qualify for a K-12 history endorsement. This type of endorsement would allow them to teach history content courses in middle and high school. Highly effective licensure can be transferred to another state. However, the endorsement will not transfer out of North Carolina. Licensure only students are exempt from PRAXIS I if their cumulative grade point average for their first bachelor’s degree is 2.50 or greater. Guilford’s cumulative grade-point average does not count towards exemption from PRAXIS.  Submit the Guilford College application for admission. Provide an official college transcript from the college(s) where you attended and/or received your bachelor's degree.